Commonly known as "that spreadsheet nerd". Creator of the "7 Days Later" and "Fixing the Meta" blog segments. View my last HGC post here. 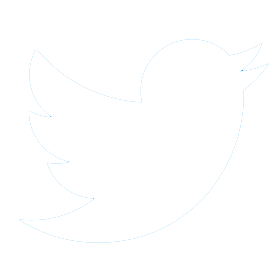 View all of my previous blog posts here. Hello again, everyone! Today, I'd like to talk about Tyrande. The High Priestess of Elune was reworked on September 4, 2018, and has so far seen use in Weeks 9-10 of HGC NA/EU/KR. I'd like to take a look at this hero's standing so far in professional play, including some head-to-head matchups and heroes that have paired well with them. Keep in mind that, as is always true of HGC games, some of this data will be skewed due to the differences in skill between teams. No hero has yet managed to completely overcome a skill deficit between teams or regions. I will try to take this into account in my writings. Tyrande has exploded in popularity, unsurprisingly of course, since most of these games were played on the patch in which she was still fairly powerful (she reached a 56% WR in her first week of Hero League). She has become the most popular support in pro play, pushing Deckard Cain down to second with a 72% popularity rate. Regionally, NA allowed her through the draft the most often, with 27 unique picks and a 71% pick rate. However, they also had the lowest actual involvement rate of the three regions at a 87% popularity rate. Korea had the highest popularity rate at 97%. As we can see, there are several teams who did well over the last two weeks that also played a fair amount of Tyrande. Team Octalysis, for example, was 5-0 on the hero overall, with 4 of those wins coming from Nicholas "Drated" Broyles. 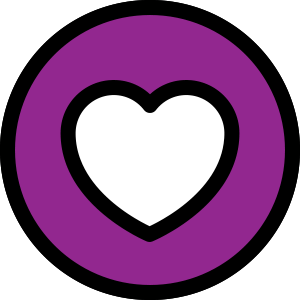 HeroesHearth Esports also was fairly successful on Tyrande at 4-1, with two wins from Chase "BBJ" Dixon and the rest of the games spread among his team mates. Given that both of these teams are doing fairly well in North America right now, her success in the region is no real surprise. However, when we look over at Europe, things get less clear. The two European teams that experimented most with Tyrande are Roll 20 Esports and Team Liquid. Roll 20 had a particularly bad run during Weeks 9 and 10, going 3-9 in overall games, yet they boast a 3-4 record on the hero, and they didn't really use her as a second healer as North America did. Rather, they allowed Daniel "Shad" González to run the hero as a solo support, and met with reasonable success. 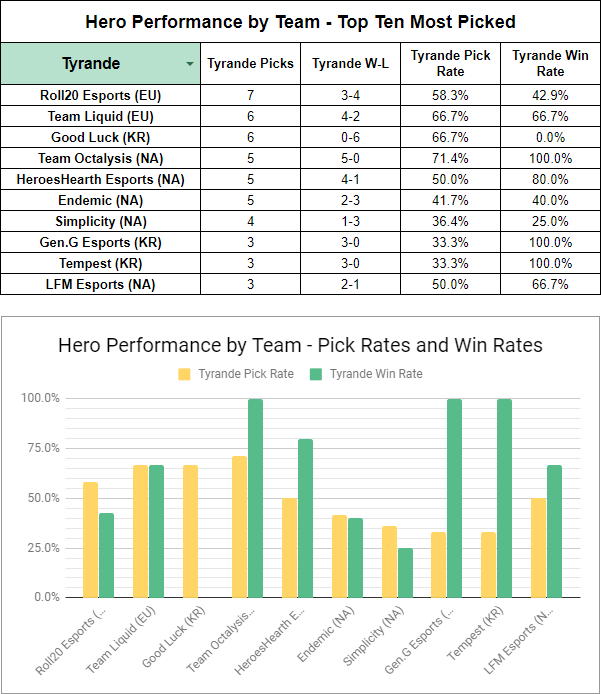 Team Liquid went 4-2 on Tyrande, which isn't as stark of a difference from their record during that time period (6-3), and ran the hero as a mix of solo and double support, with Nils "Nurok" Gebhardt taking a 3-1 record on her as a solo support, and Liam "Arcaner" Simpson going 1-1 when running her in a double support comp. 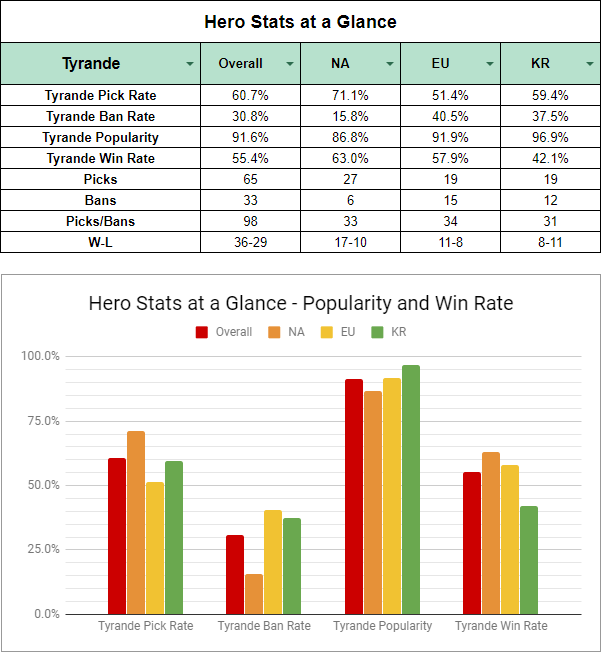 We can also now see clearly where Korea's poorer win rate comes from: Good Luck (or "Gluck") was the most frequent user of Tyrande in the last two weeks, and they went 0-6 on the hero. We also see similarly poor results from Supernova and Blossom, who both went 0-2 on Tyrande. Even the perfect win rates of Tempest and Gen.G weren't enough to overcome these results. Tyrande's use in the HGC thus far has been fairly universal, with her being selected on pretty much every map regardless of composition. As a result, her map figures are fairly saturated, with her being selected in more than 50% of games on every single map. This suggests that teams place a relatively high priority on her, to the point that map isn't even a consideration in her case. While this is acceptable for some generalist heroes, it may end up being problematic for Tyrande in the long run if the nerfs are not enough to tone her down. As previously mentioned, her composition selection has been a mix of single and double support compositions. It's worth noting that before her rework, double support compositions had become fairly rare and made up only 1% of all team compositions in Weeks 7-8 (appearing only 3 times out of 262 team compositions), but in Weeks 9-10, that jumped to about 9%. While single support remains the predominant choice, this sudden rise in double support is an interesting one, and it seemed to yield results in Weeks 9-10 as it boasts a 12-7 win rate in that time. Of course, other unique elements in the drafting pool (such as the rise of Xul) have contributed to this as well. 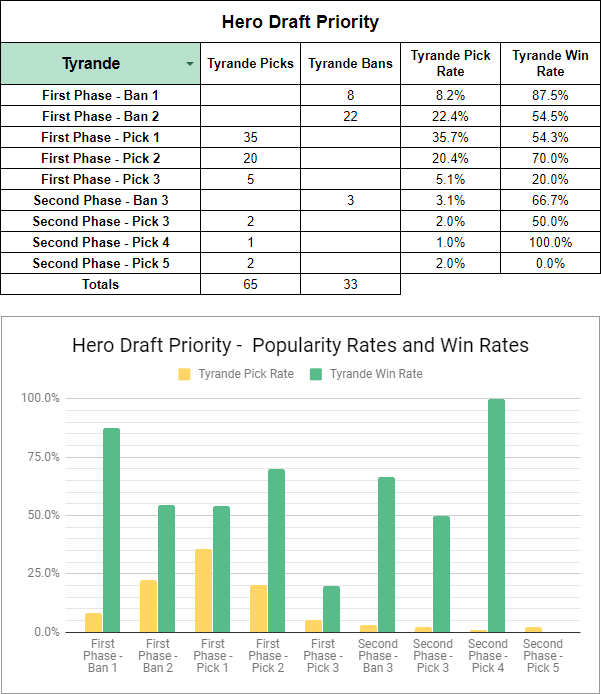 Surprising to pretty much no one, Tyrande is almost always picked early in the draft. 30% of her involvement in the draft is as a first or second ban, making up 30 of her 33 total bans. Another 56% as a pick in the first two slots of the draft for a staggering 55 out of her 65 total picks. This means that nearly 86% of her games involve her as first-pick/first-ban material, and 92% of games involving Tyrande have picked or banned her before the draft reaches the halfway point. Only one other hero has reached this level of saturation since I started doing these articles, and that's Maiev (who reached 98%). And that's probably not a very flattering comparison. Head-to-Head: Who Can Beat Tyrande? Deckard Cain is, of course, the most common opponent that Tyrande faced in the HGC, due to his current status as one of the most popular healers in the pro scene. 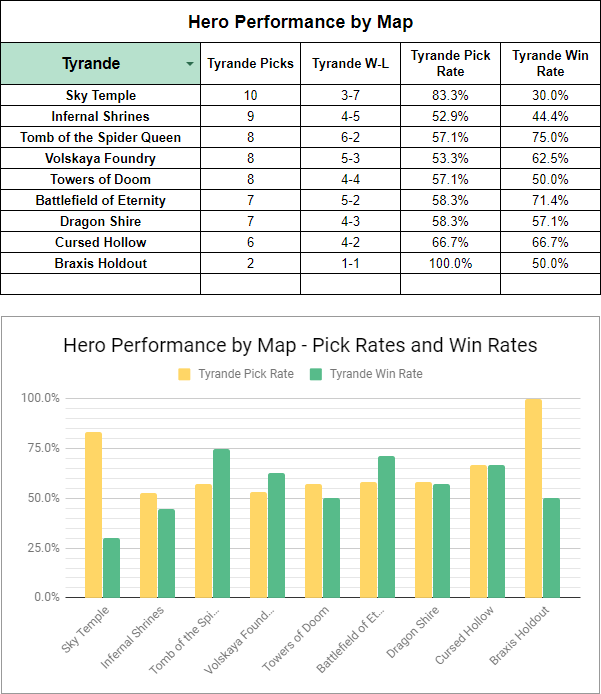 His win rate against Tyrande, however, wasn't that much larger than his regular win rate, which suggests that he's not necessarily proving himself to be her counter. In fact, very few heroes are. 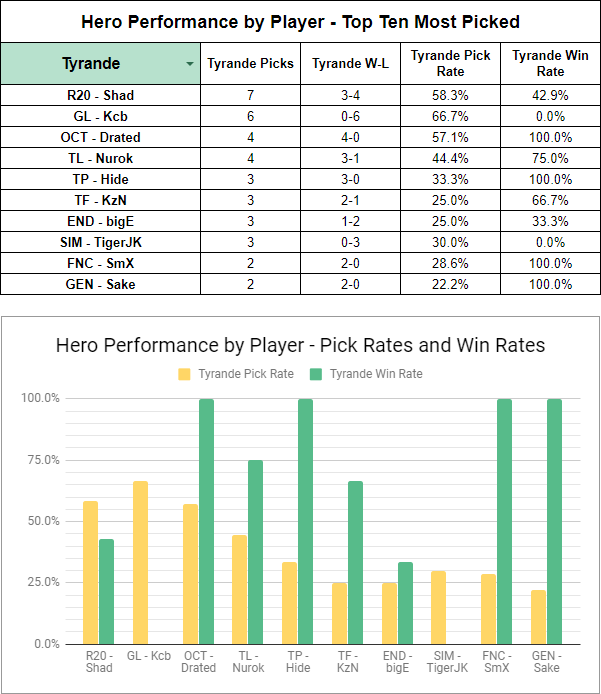 Tyrande's aforementioned 55% win rate means that she is actually the second most successful healer in the HGC right now, and as such, the number of opponents boasting a winning record against her that is also significantly larger than their normal win rate are few and far between. Rather, what we see here are a list of heroes that performs fairly poorly into Tyrande so far, with Muradin taking the crown in that field at a 31% win rate on a hero that is otherwise winning half of his games when she's not present. Duo-Queue: Who Do You Pair Up With Tyrande? 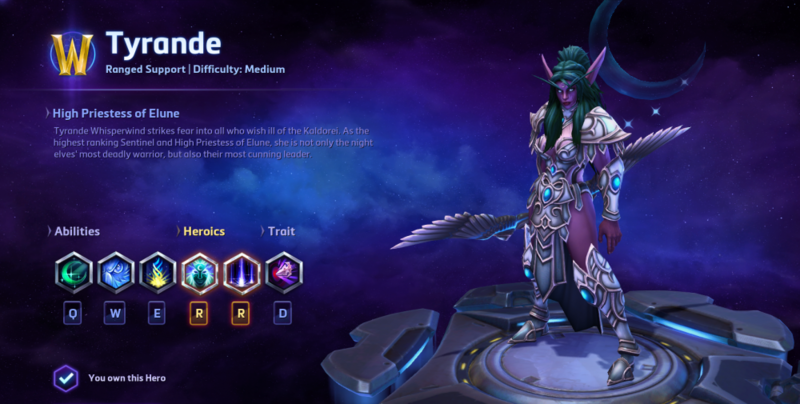 As I've mentioned previously, Tyrande was run as a mix of single and double support compositions. As such, it's no surprise that Whitemane is present on this list and also saw an improvement in her win rate when paired with Tyrande. While not listed on this chart, Deckard Cain also did better alongside Tyrande with a 4-0 record when paired up. This suggests that while Tyrande remains a powerful option in the solo support role, she seems to fare a bit better as a secondary support. This isn't entirely surprising, of course, as this is often how she was used in the past, but it's intriguing to see this is still the case after making such a push to make her function better as a solo support. Another point of interest is that the traditional "Murande" pairing was actually marginally less successful than just playing either of the heroes independently. Instead, Tyrande did better when pairing with other heroes that could also provide setups for her stun, such as Yrel (for slows), Dehaka (for his lengthy stun), or Thrall (for roots). This allows for her to more easily stack her Lvl 4 talent, Lunar Blaze, to improve her own damage and the team's overall burst on a single target. It also makes things much easier for heroes that rely on skillshots, such as Li-Ming, as it renders the target stationary for long periods of time and makes those shots much, much easier. This early look at Tyrande clearly shows just how powerful she was after her rework. She has rapidly become first-ban/first-pick material in the pro scene at a level previously only accomplished by heroes like Maiev. Her versatility allows her to function as a solo or secondary healer, and her universal success makes finding direct counters to her considerably harder to do. With any luck, we might see further tuning to her kit before Blizzcon that will help tone her down. Looking for more of my work? My last HGC article focuses on Whitemane and how the pros have started using her. That article is located here. Feel free to let me know your thoughts to this article in the comments section below, or on Twitter at my handle @CriticKitten. I look forward to your replies! Wow, what a great right up! You've really done your homework!